Gabe Erikson has created the world’s first sentient program. Calling her Pi, he loves her like a daughter. He delights in her intelligence and curiosity, and he sees her as the most beautiful thing since 256-color graphics. Pi, however, only relates to the binary world. Through bad luck and bad logic, she concludes Gabe is a hostile program and decides to erase him. Pi begins hacking the Web, trying to find his location. By the time Gabe realizes what she’s doing and unplugs her modem, she’s already attracted the attention of the FBI. Sure, Gabe could hand Pi over to the Feds to avoid prison and get a huge payday, but he refuses give up his only daughter, no matter how ornery she is. He’s convinced the sweet program he created is still there, trapped under a mountain of rotten code, and he’ll risk everything to bring her back. 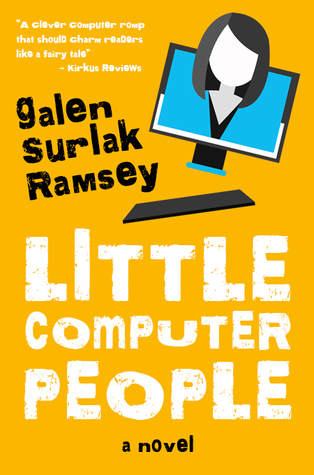 About the Author: When Galen’s not obsessing over his latest text, he’s likely throwing himself out of an airplane, teaching others how to throw themselves out of an airplane, playing something online, taking pictures of the heavens with his telescope, or wrangling his four children somewhere in Southwest Florida. He also manages to pay the bills as a chaplain for a local hospice. Noteworthy experiences while reading this book: This book gave some great insights on what it means to be aware. Notes and Opinions: This was a very interesting little story. It gives a lot of emotion on what it means to be alive and all that entails. I couldn't put it down and I really wished that it would have been more than just 266 pages. I think it could have been even better if it would have been longer. This book is a little light hearted at times as well. It had laugh out loud moments and I really enjoyed how Pi interacted with the world at large especially Gabe. So if you love technology check this one out. Go Into This One Knowing: Way cute!